Expert Floor Restoration with nationwide coverage. 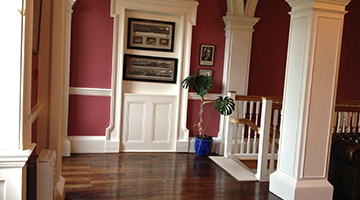 We offer a wide range of floor Restoration services encompassing all floor types of Period flooring as well as modern and commercial restoration services. 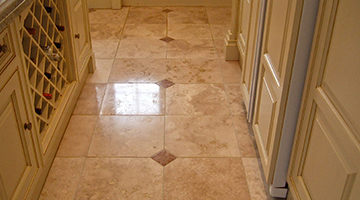 Whether your floor requires repair, replacement or simply cleaning and polishing we are able to undertake the complete range of floor restoration services. With the benefit of our modern and efficient machinery we are able to produce the best results . We also stock a wide range of carefully selected reclaimed materials such as Georgian oak, elm as well as flagstones and Victorian tiles for use in your floor restoration project. Providing specialist floor restoration services throughout the UK (except Scotland) and with over 20 years of experience you can be assured of the best service possible. Fully independent of manufactures and not a Franchise with our staff directly employed, knowledgeable and courteous. We provide our floor restoration services to a wide variety of different properties and our customers include the homeowner, architects, insurance companies, loss adjusters, Churches and Historic buildings, Hotels, schools etc. We hope you find our site informative and easy to navigate; with this in mind we have designed each page with the same easy to understand format-showing examples of our work, potential results before and after as well as information about your floor type. 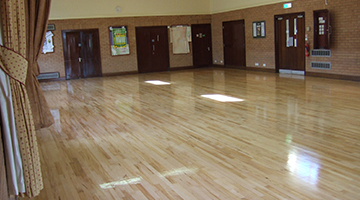 Full range of commercial flooring Services with a comprehensive after care service. In nearly all cases your flooded or fire damaged floor can be restored to its former glory and without the need to replace; in many cases your floor will look better than before!